Maybe it is the scar of Bono’s infamous 1984 line healing or a timely visit from one of those Dickensian spirits, but a record clambering for room in the crowded seasonal market has burrowed into one’s mind to conjure up a few end of year thoughts. Original Christmas music can often present a crossroads for those artists tempted to indulge in it, either pop down the safe populist route or score some points with an alternative stab. 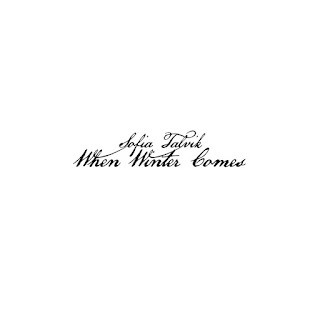 It does not take too much deduction to expect someone from a folk-Americana slant to adopt the second stance and this collection from Sofia Talvik resides firmly in this camp. Regardless to where you stand on this type of themed music, the offering from this Swedish singer-songwriter is rather impressive and well equipped to soothe any cynics in the room. This album has been a project ten years in the making, with Sofia maintaining a self-pact to write a new song each winter that attempts to throw a light on some of the less salubrious issues associated especially within a Northern Hemisphere Christmas. On the surface, a proliferation of titles containing the words: winter, cold and Christmas does suggest a little drift into cliché status, but the old adage of ‘do not judge the contents by the cover’ has never been more pertinent. What the album does reveal is a hour-long exhibition on how to blend a vocal style packed with glowing warmth into the sombre instrumental triangle of soft piano, morbid cello and haunting pedal steel. Yes, the subject content does focus away from a joyous tendency, exactly what would expect from titles such as ‘When It Rains on Christmas Day’, ‘Cold, Cold Feet’, ‘Clothe Yourself for Christmas’ and ‘A Carol for the Lonely’. While a Nordic charm adorns these tracks, you cannot escape the Americana influence that has formed an artist who spends a large degree of her touring days stateside. Perhaps, this is the ultimate appeal alongside spending a captivating hour soaking up the ambient nature of these songs. Obviously, the shelf life of such a record is limited, but with it taking a decade to surface in this collective format, filing it away in a convenient place for retrieval in twelve months’ time should just be a small part of the preservation process. Outside this seasonal release, Sofia Talvik is a highly active touring and recording musician, best known in the UK for the release of her 2015 album BIG SKY COUNTRY. Mainly, though it is continental Europe and USA that has been the geographical focus for her music, but you never know motives may change. There is ample evidence on this record to suggest there is a great deal more to come in conventional surroundings. Whether WHEN WINTER COMES – A CHRISTMAS ALBUM opens the door for a deluge of seasonal releases to spark a response is highly unlikely. 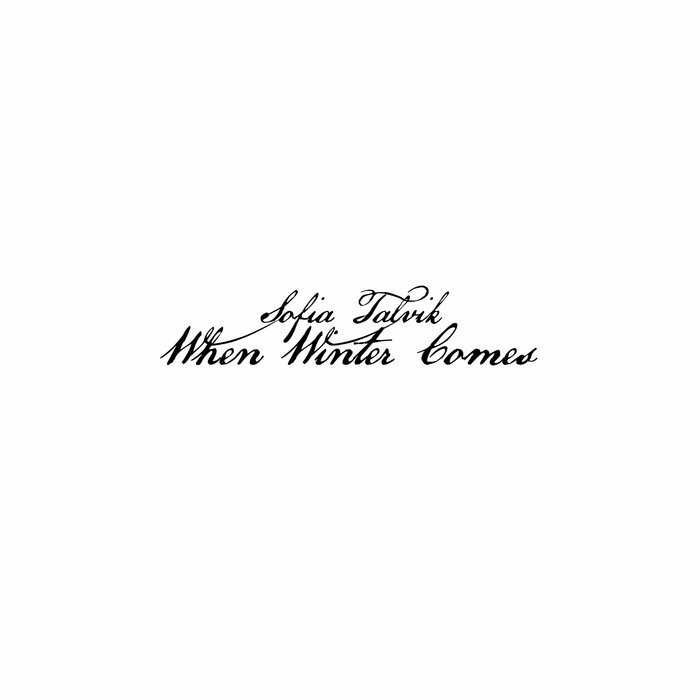 However, this Sofia Talvik album has found a chink in the armour and its blessings, sentiment and elegance have been embraced. So at a time when many of the favourite releases of the year are given one final spin to confirm their position on the annual wrap, there may just be a slight deviation into a record that adds a touch of credence to a maligned genre.